This delightful new wicker dining chair is made with Viro® outdoor wicker and comes with a Sunbrella® cushion for a comfortable dining experience during those long fabulous dinner parties with friends. 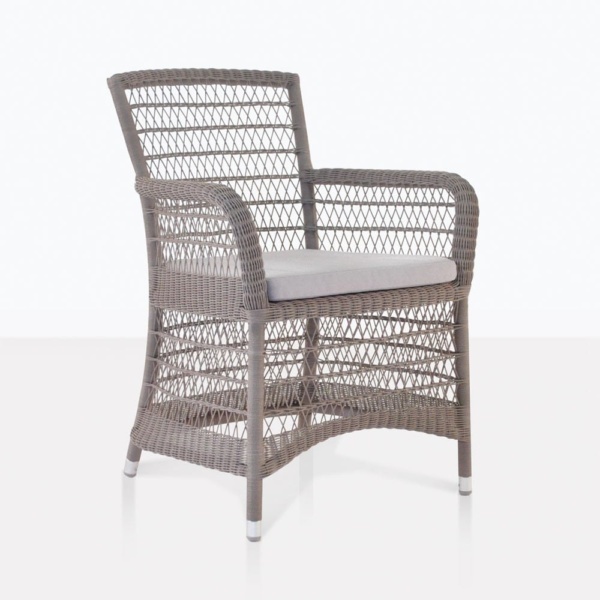 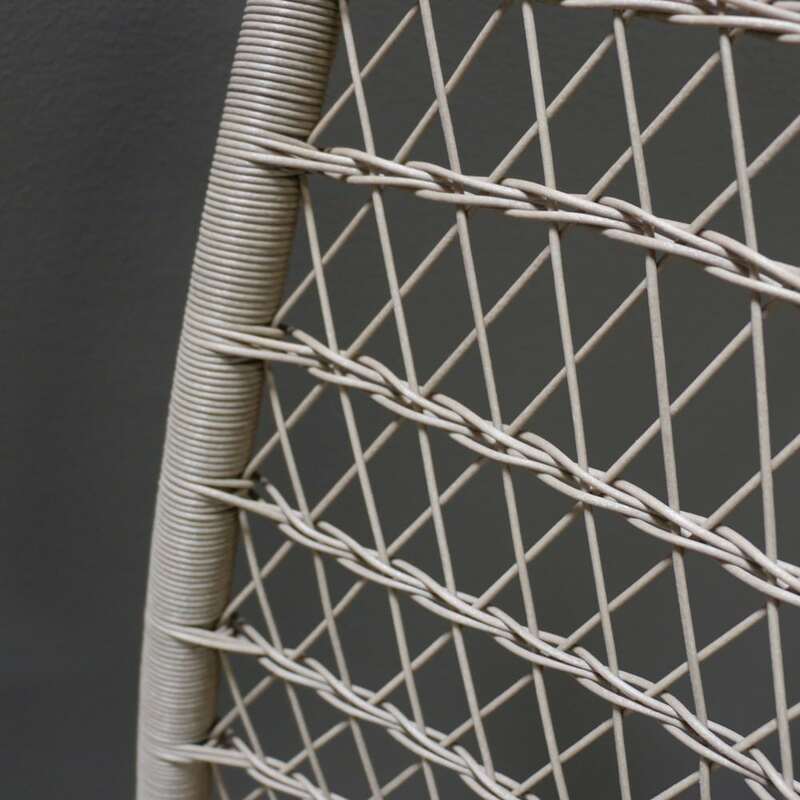 The Hampton wicker dining chair has the look of a classic wicker chair with perfect updated touches. It’s designed with a light and airy feel perfect for your garden dining area or indoor kitchen nook. 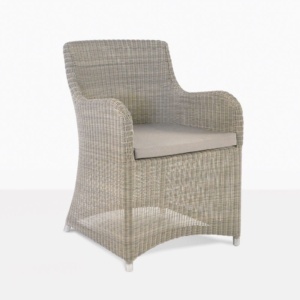 The Hampton arm chair is also available in chalk and without arms.